Well behaved four legged friends on leads welcome. Water bowls also available. 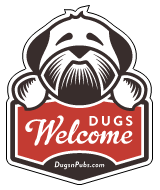 There are a total of 6 dog friendly listings in the Stirling Cafes category. Please log in, or sign up as a member to view all listings.